“We all have ONE birthday, but each of us have 364 UN-birthdays to celebrate, as well. 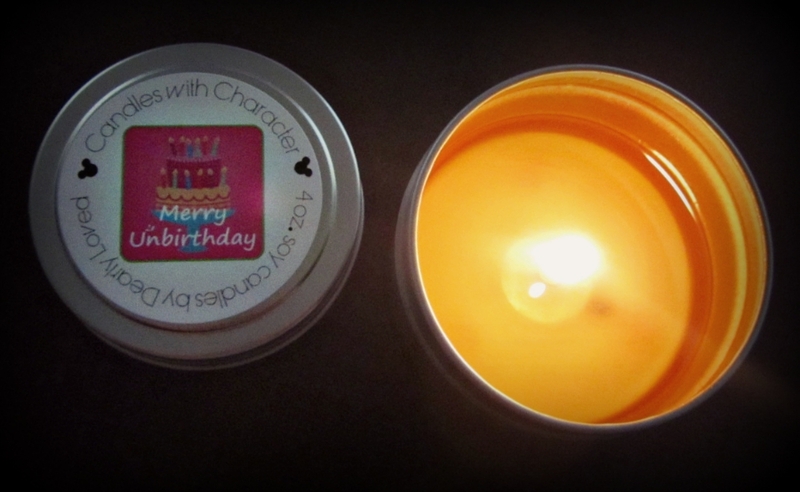 It was such a nice surprise to receive this candle from Lyn from My Dearly Loved and I saved it just so I could burn it on my birthday and let me tell you now, my special day smelled unbelievably delicious! Just look at how clean and flawlessly the candle burns, seriously all of Lyn’s candles burn so perfectly. I always feel like I’m repeating myself when it comes to Candles With Character but I’m just so beyond impressed with everything about them. Stay tuned for my product features and reviews from us. So glad I was able to make your birthday a little “sweeter”, and hope you’ve been enjoying your UNbirthdays, as well!